Folks we are excited to announce a big spring headlining tour! It hits some of our favorite places and we should mention that it is probably the only tour we will do in 2016. We need a bit of a rest, but wanted to book this tour as a hurrah before we take a break, so be sure to get tickets if you are itchin' for some MBD. We are practicing a TON of songs for this tour, with plans to pull out some more obscure tracks we don't often play. 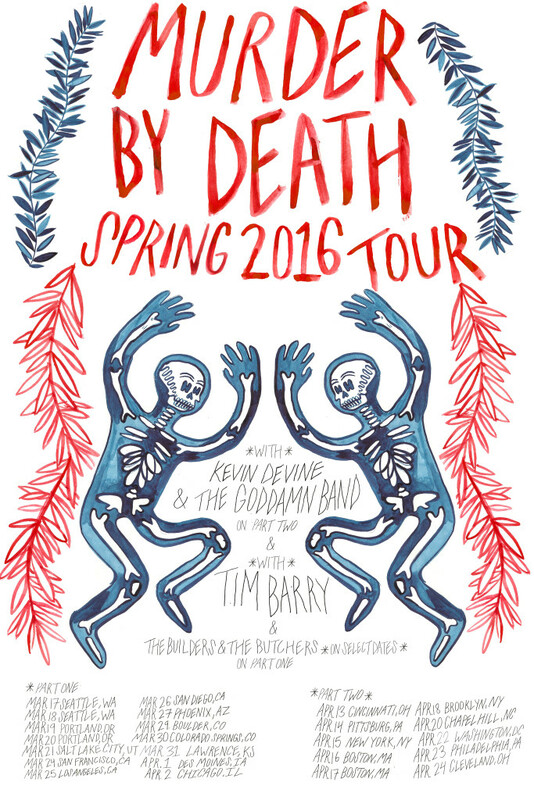 Go to http://www.murderbydeath.com/tour-dates/ for tickets and more info.